Nora Ephron and I have a few things in common. 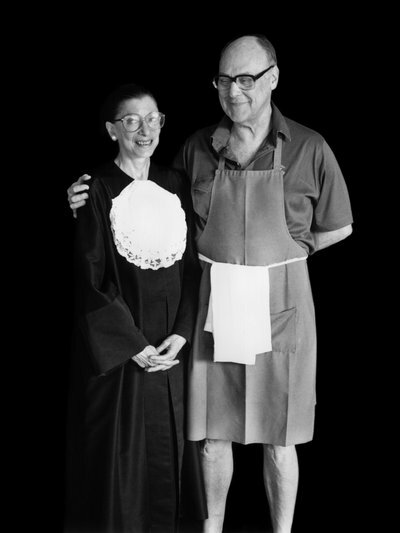 We both graduated from Wellesley College. We both love New York, which she called, ““the most magical, fraught-with-possibility place.” We are both enamored with food and epicurious.com. We’re ardent fans of each others work. (Half true. I am an ardent fan of her work). I once dreamed of following in her screenplay writing and film directing footsteps, but alas, it was not to be. Once thing I can do, though, is cook her favorite recipe. She married her third husband, the one that stuck, Nick Pileggi (author of “Wiseguys,” the book “Goodfellas” is based on. In 2006, Ephron published the collection “I Feel Bad About My Neck,” a No. 1 best-seller. 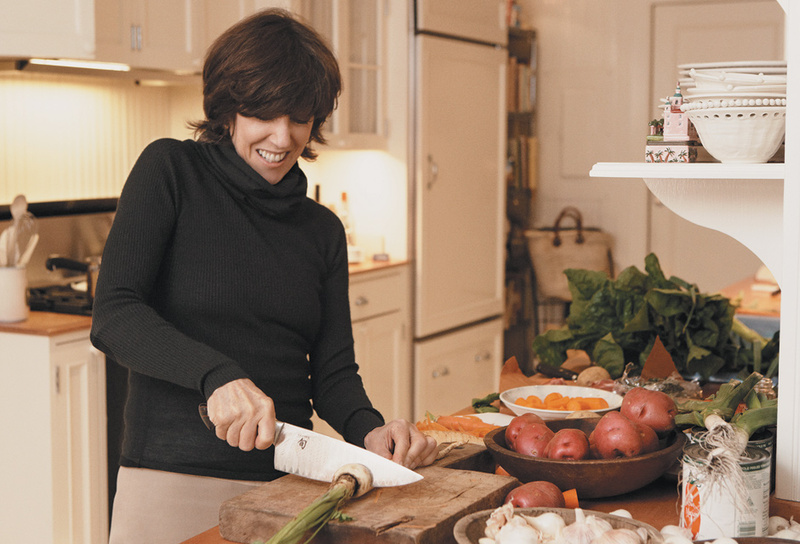 Nora Ephron died from pneumonia, caused by acute myeloid leukemia, on June 26, 2012, at the age of 71. Nora Ephron left behind a legacy of legendary romantic comedies, inspiration to young women aspiring to success in her field, and an example of what a brilliant mind can do, even in the most dominated professions. And she left behind delicious traces of what went on in her kitchen. I asked my husband to give me a challenge- name an interesting person, and I would find their favorite dinner. Steve Wozniak was only too easy. But first, a bit about Woz. Steve Wozniak is best known for cofounding Apple, Inc. with his partner, Steve Jobs. 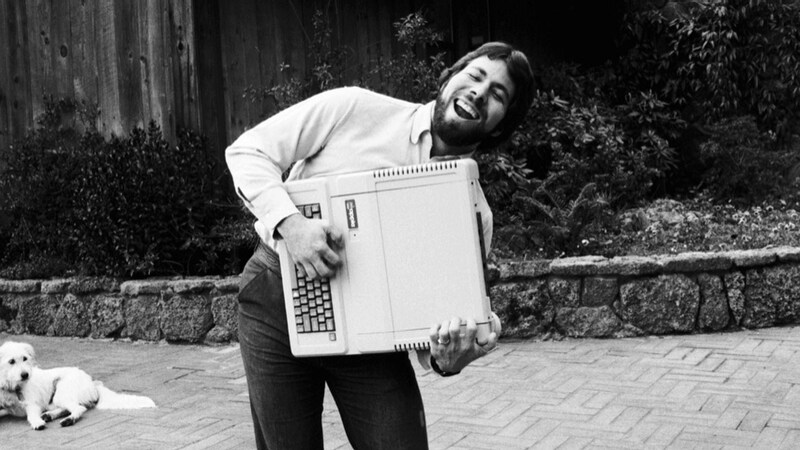 Steve Wozniak was born in San Jose, California, on August 11, 1950. As a child, he was fascinated by electronics. He met Steve Jobs while studying at UC Berkeley, and the two formed Apple Computer on April 1, 1976. The early days of Apple famously took place in a garage, where the Steves worked on creating the first use-friendly personal computer. Wozniak was responsible for inventing products, and Jobs for marketing. Wozniak built the Apple I while working out of this garage, and later designed Apple II. Jobs and Wozniak became billionaires when the company went public in 1980, with Wozniak receiving four million stocks, worth 116 million dollars. In 1981, Wozniak was injured in a private plane crash in Santa Cruz, and he suffered memory loss so severe that he did not remember the crash or his hospital stay. He eventually recovered from the amnesia. Wozniak left Apple in 1987. Post-Apple, Woz founded the Electronic Frontier Foundation, an organization that provides legal aid for computer hackers facing criminal prosecution, with Mitchell Kapor in 1990. He has also founded CL 9, the company known for creating the first programmable universal remote control, and Wheels of Zeus (WoZ), with the mission of developing wireless GPS technology. In 2006 he published his autobiography, iWoz: From Computer Geek to Cult Icon: How I Invented the Personal Computer, Co-Founded Apple, and Had Fun Doing It. Two years later, he joined Fusion-io, a Salt Lake City start-up. What else is interesting about Woz? He has been awarded a total of 11 Honorary Doctor of Engineering degrees. He pulled a hamstring and broke his foot while competing in Dancing with the Stars. He’s been married four times, he is a member of a Segway polo team, and in the 1990s, he submitted so many high scores in Tetris to Nintendo Power magazine that they eventually refused to print them. And, as we’ve learned, he’s a big fan of Ruth’s Chris Steakhouse. Ruth’s Chris Steakhouse is kind enough to share some of their recipes on their website. 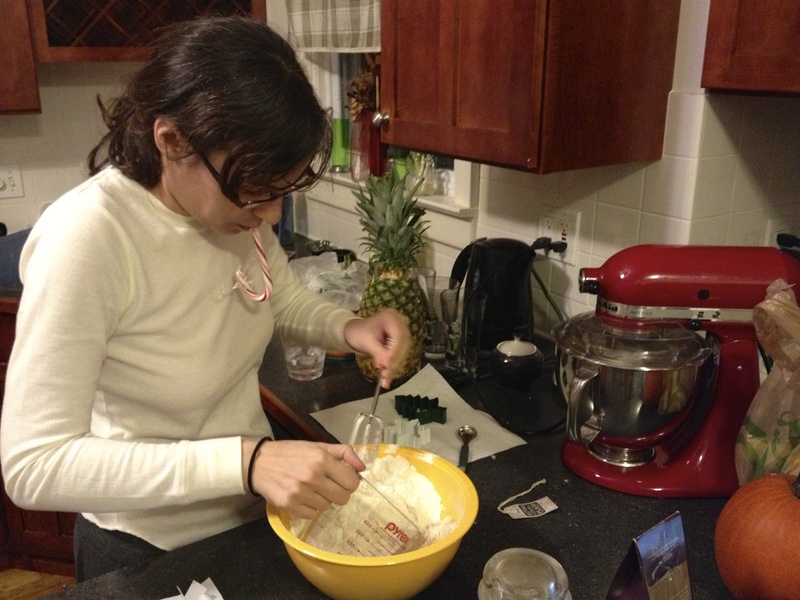 After looking them over, I chose the recipe for the crab cakes- one of my own favorites. There is a legend (I can’t find a verifiable source) that Emily Brontë had a thing for pie. Meat pie. Supposedly, Ms. Brontë wrote to her sister from Belgium that she would rather be in Haworth House making this pie than be abroad. I’m not sure what that says about the pie- that she loves it so much she would forgo her trip just to make the pie, or that she hates traveling so much she would rather be home making gross meat pies. However, the legend holds she favored the pie, so here is the recipe. But first a bit about Ms. Brontë. Emily Brontë was born on July 30, 1818 in Yorkshire, the fifth of six children, including fellow writers Charlotte and Anne. Her mother died when she was young, and her aunt moved in to the Brontë household to help raise the children. Emily Brontë’s childhood play with her siblings significantly influenced her writing. In1824, the Brontë sisters (except for Anne) went away to Cowan Bridge School, where Emily was a favorite; she was called “quite the pet nursling of the school.” Unfortunately, conditions at the school were poor, and Maria and Elizabeth Brontë both caught consumption and died in 1825. Emily and Charlotte were brought home from school and the Brontë children began to write plays set in the imaginary lands of Angria and Gondal. In 1831, Charlotte left for Roe Head School, and Emily and Anne continued the Gondal play. Emily Bronte’s diary entry on November 24, 1834 contains the earliest piece surviving piece of the Brontë’s writing. It began, “Taby said just now Come Anne pilloputate (i.e. pill a potato) Aunt has come into the kitchen just now and said where are you feet Anne Anne answered On the floor Aunt papa opened the parlour door and gave Branwell a letter saying here Branwell read this and show it to your Aunt and Charlotte–The Gondals are discovering the interior of Gaaldine Sally Mosley is washing in the back kitchen.” The Gondal stories were adventures of royals and soldiers, tragic love and political intrigue, murder and war. The main character was the passionate queen Augusta G. Almeda. 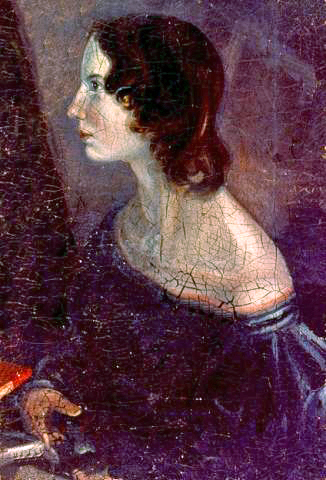 Critic Teddi Lynn Chichester suggested that “through Augusta, Brontë could explore, in private, her need to create a powerful, even indestructible” woman, due to the loss of significant women in her life. In 1835, Emily accompanied Charlotte, now a teacher, to Roe Head, but Charlotte sent her home, believing Emily would die without “sources purely imaginary.” Emily left home only two other times, to teach at Law Hill and to study in Brussels. Back home, Emily continued to write in her spare time. Her poems centered around the themes of nature and death. Emily wondered in her diary on June 26, 1837 where she and her siblings would be in four years and hoped they would be in “this drawing room comfortable” or “gone somewhere together comfortable.” Brontë continued to write poetry in 1838, along with a translation of Virgil’s Aeneid. During this year, she accepted a teaching position at Law Hill, a girls’ school, where she found spare time to write a little, but she only lasted a year. On her July 30, 1841 birthday, Ms. Brontë wrote that she hoped in four years she and her sisters would have set up a school of their own. In pursuit of this goal, Emily and Charlotte studied at a boarding school in Brussels in 1842. Brontë completed no poems in Brussels, and both sisters left for Haworth again when their aunt died. Emily Brontë never left home again. In 1844, the Brontë sisters sent their poetry to publishers, using the pseudonyms Currer, Ellis, and Acton Bell and agreed to publish Poems at their own expense with the publishing company of Aylott and Jones in 1846. In December, 1847 Emily’s most famous work, Wuthering Heights, was published. Sadly, Ms. Brontë caught consumption in October 1848. She refused all medical help, and died on December 19, 1848, at age thirty. She was the first female head writer at SNL, she is the author of the book Bossypants, the screenwriter of Mean Girls, and the creator of shows like the brilliant 30 Rock, considerably less brilliant The Unbreakable Kimmie Schmidt, and an upcoming comedy “which takes place at a women’s college that has just opened its doors to men for the first time.” On top of that, she is most wanted as the new host of the Daily Show. Ms. Fey started performing shows with the legendary Chicago improv comedy group The Second City in 1997 and later joined NBC sketch comedy series Saturday Night Live as a writer, eventually becoming head writer and performing on the show until she left in 2006. 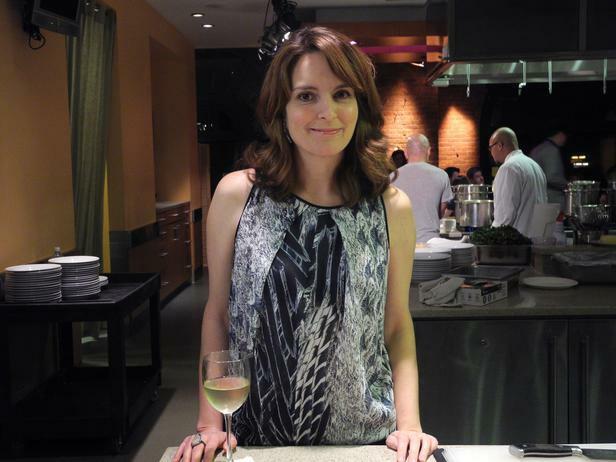 To date, Ms. Fey has received two Golden Globe Awards, five Screen Actors Guild Awards and eight Emmy Awards. She has two daughter, Alice and Athena, and lives in New York City. Duke was born on December 25, 1919. His parents, Giocondo and Maria Vincenze, had recently emigrated to the United States from a village in Salerno, Italy. He’s done some interesting things. 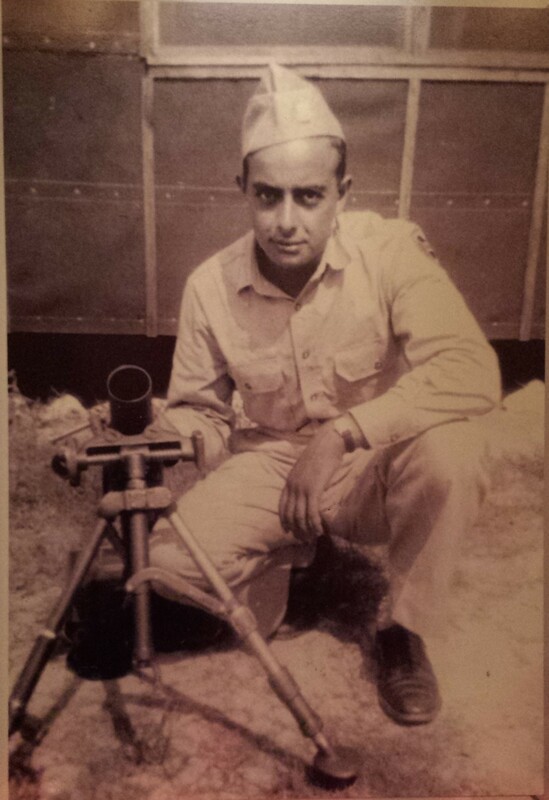 He was a sergeant in WWII and fought at Normandy in France, where he was badly injured. The foxholes were so tight, the men had to huddle in pairs with their arms around one another. There was no room even to pee. That’s how he survived. His buddy got up to use the bathroom and when he returned, they switched places. They were hit in an explosion and his buddy was killed instantly. Duke survived with bad burns and the loss of a finger. Duke had a pretty interesting life back in the states, too. He ran a gambling operation in his basement, which made him a lot of friends, but required payments to certain prominent neighborhood “businessmen” in exchange for “protection” from the law. He married a pretty girl from the neighborhood, made a living as a house painter, and became an avid gardener as the years went by, famous in his family for his yearly crop of peerless tomatoes and the figs from a tree planted by his father, the first of his family to step foot on American soil. He celebrated his 95th birthday last Christmas, and his favorite food remains lasagna with homemade tomato gravy.